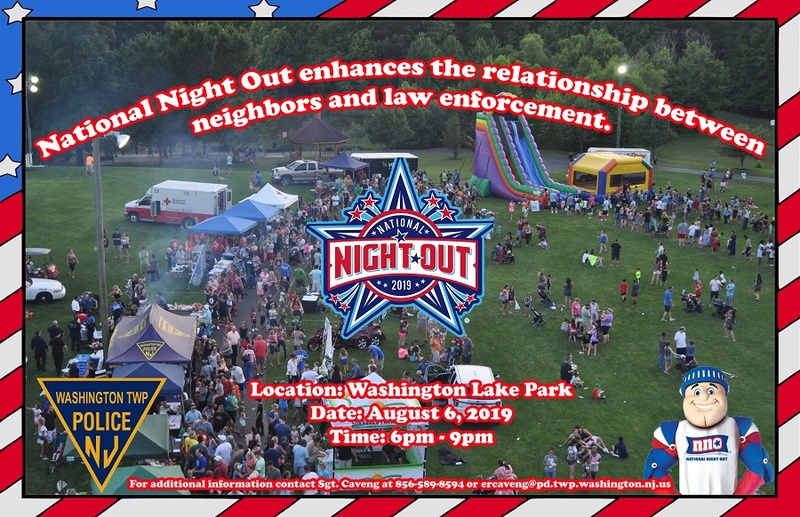 Once again, the Washington Township Police Department will be hosting National Night Out in Washington Lake Park on August 6th from 6:00-9:00 pm. This event is a way for residents to get to know our police officers on a more personal level and to thank them for keeping our community safe. There will be bouncy houses for the kids, vendors, music, K-9 demonstrations, and food which will be grilled by the officers.